Determining how climate fluctuations affect ocean ecosystems requires an understanding of how biological and physical processes interact across a wide range of scales. 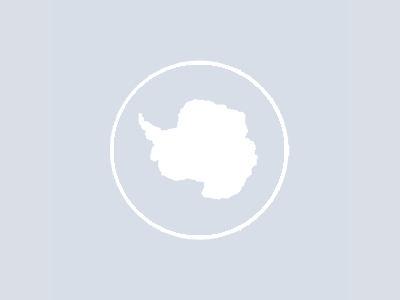 Here we examine the role of physical and biological processes in generating fluctuations in the ecosystem around South Georgia in the South Atlantic sector of the Southern Ocean. Anomalies in sea surface temperature (SST) in the South Pacific sector of the Southern Ocean have previously been shown to be generated through atmospheric teleconnections with El Nin˜o Southern Oscillation (ENSO)-related processes. These SST anomalies are propagated via the Antarctic Circumpolar Current into the South Atlantic (on time scales of more than 1 year), where ENSO and Southern Annular Mode-related atmospheric processes have a direct influence on short (less than six months) time scales.We find that across the South Atlantic sector, these changes in SST, and related fluctuations in winter sea ice extent, affect the recruitment and dispersal of Antarctic krill. This oceanographically driven variation in krill population dynamics and abundance in turn affects the breeding success of seabird and marine mammal predators that depend on krill as food. Such propagating anomalies, mediated through physical and trophic interactions, are likely to be an important component of variation in ocean ecosystems and affect responses to longer term change. Population models derived on the basis of these oceanic fluctuations indicate that plausible rates of regional warming of 1oC over the next 100 years could lead to more than a 95% reduction in the biomass and abundance of krill across the Scotia Sea by the end of the century.